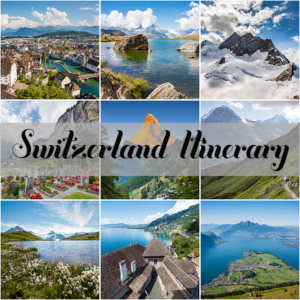 Here is the last instalment of our Switzerland travelogue! 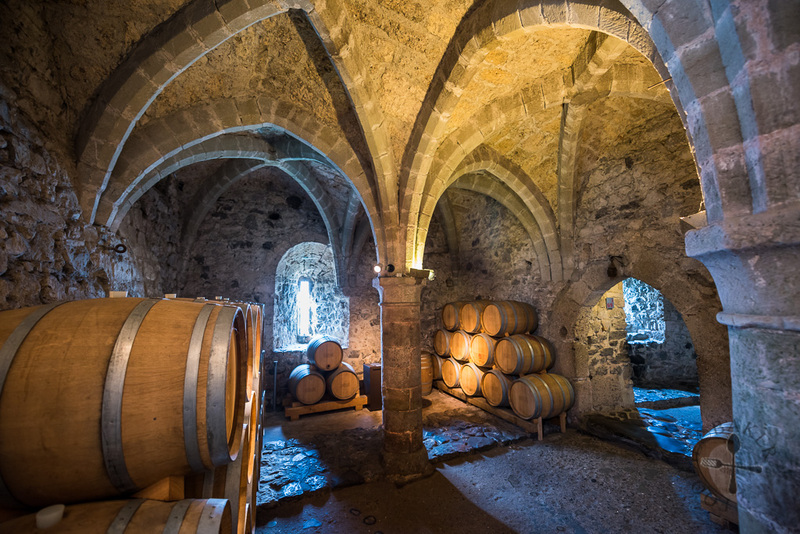 When X and I were travelling from the Jungfrau region to Zermatt, we made a detour to Chateau de Chillon (Chillon Castle) – an island castle located on the shores of Lake Geneva with over 1,000 years of history. 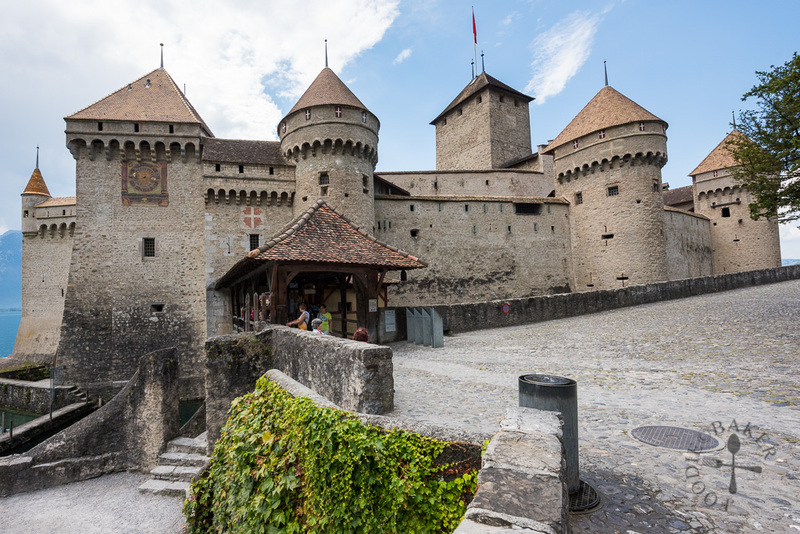 We headed to Chillon Castle via Montreux – and the easiest way to reach Montreux for us is by the Golden Pass train route as we were coming from the Jungfrau region. The Golden Pass train route is a tourist-oriented route which connects Lucerne to Montreux. 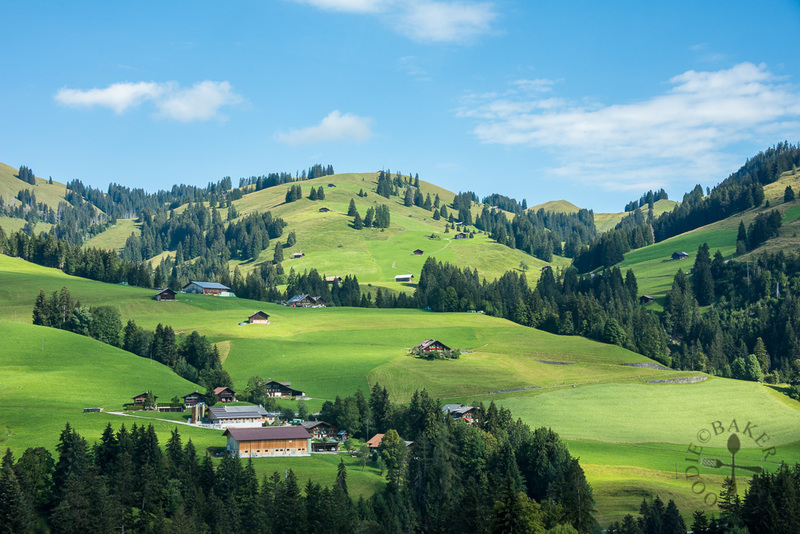 It consists of 3 sections – Lucerne to Interlaken OST; Interlaken OST to Zweisimmen, and Zweisimmen to Montreux, with each section served by different train operators. 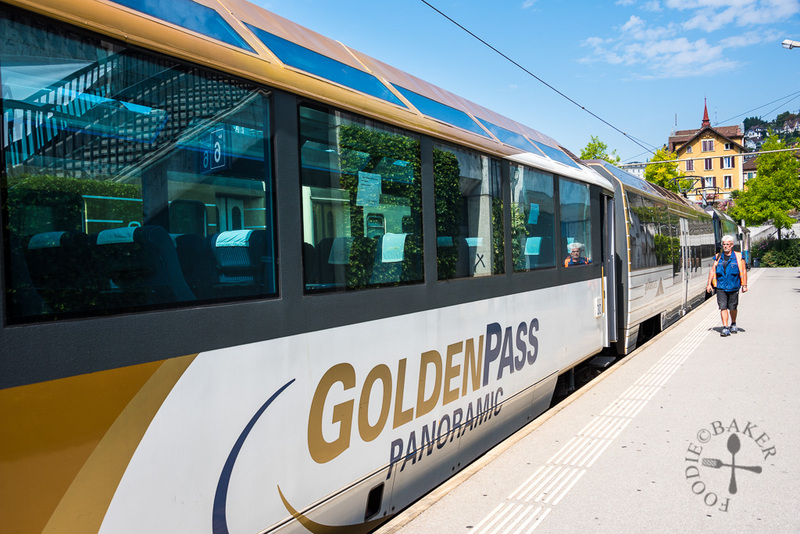 All three sections are served by regular trains – for the last section Zweisimmen to Montreux, additional special trains have been catered for tourists – Golden Pass Classic and Golden Pass Panoramic. The Classic trains are fitted with old-school Belle Epoque coaches, so you get to be transported back in time while travelling to Montreux. The Panoramic trains are fitted with huge panoramic windows (like the one above and is also the one we took) and are more modern-looking. These trains are quite popular so do expect a more crowded train on these speical trains. However, train reservations are currently not required. 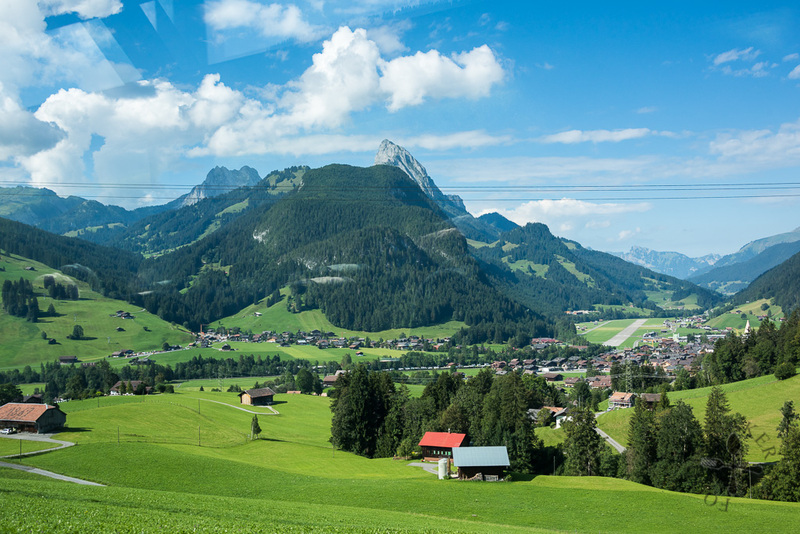 Regardless of which train you take though, the views are the same – beautiful beyond words. More views – the sky was so blue and the fields so green! I also learned online that one of the train operators are installing a new track system so that there wouldn’t be a need to change train at Zweisimmen in the future. This will only take place in late 2017 or in 2018, so… will update about this if I remember then! 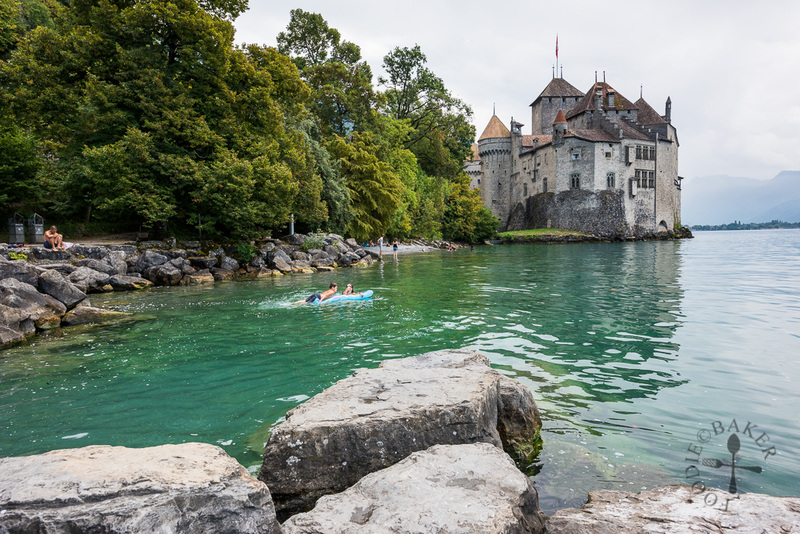 From Montreux, getting to Chillon Castle can be done by train, foot, boat, train, or bus (or car, you can park at the parking lot near the castle for free). Train: Take a train to Veytaux-Chillon, then it will just be a 300 metres walk from the train station. 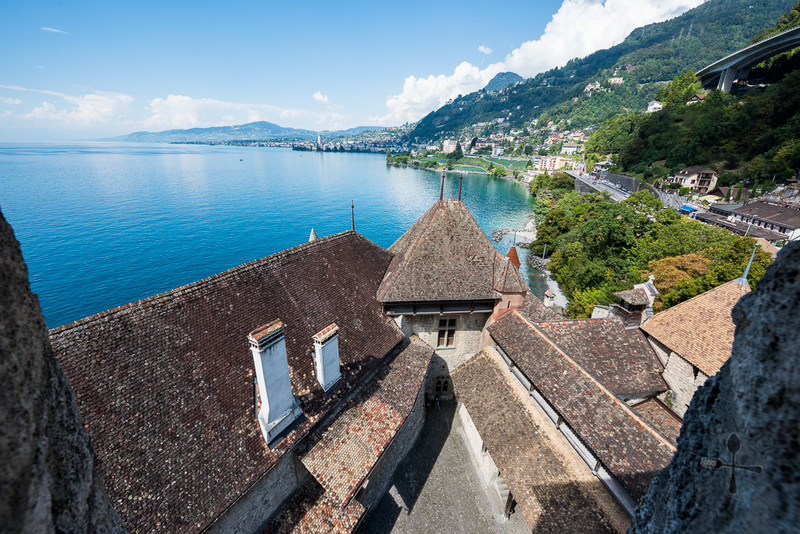 Bus: Take Bus 201 from Montreux, Vevey or Villeneuve and alight at the “Chillon” bus stop. It won’t be difficult finding the bus stop as you should be able to spot fellow travellers walking towards/waiting for the bus. 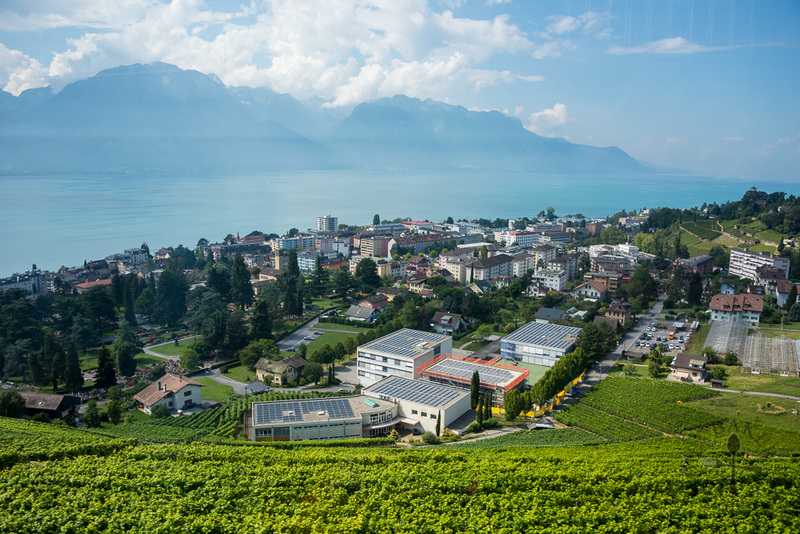 Foot: It’s a 45-minute, 4-kilometre walk from Montreux and 20-minute, 2-kilometre walk from Villeneuve. 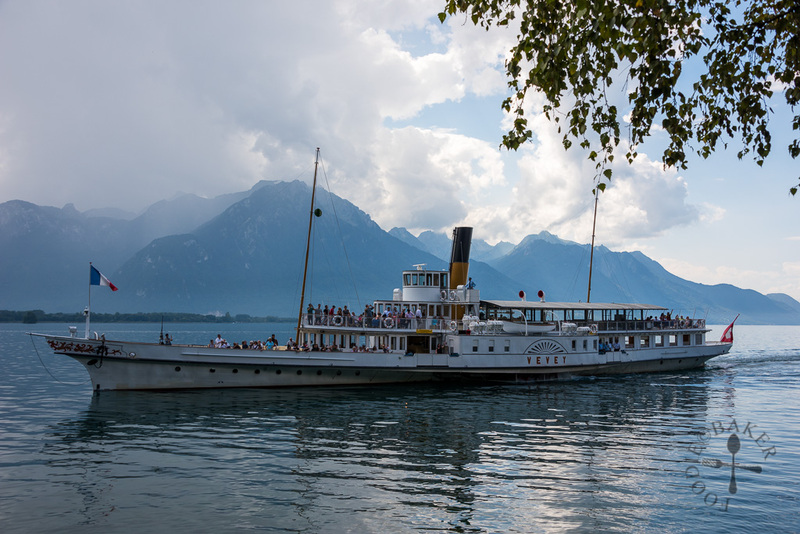 Boat: The Lake Geneva Navigation Company offers boat rides on their side-wheel paddle steamers (now powered by electricity) to Chillon Castle (just 2 stops, 15-minute away). Timetable for the boat rides can be found here. (At the date of publishing the post, only winter timetable is available, summer timetable will only be available at a later date.) 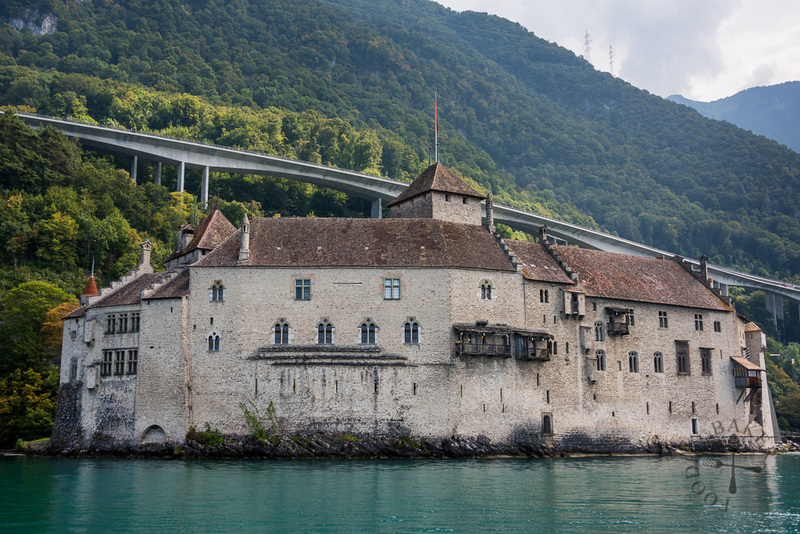 The boat ride is free if you have the Swiss Travel Pass, so I highly recommend taking it if you have one, because you get to see Chillon Castle from Lake Geneva. 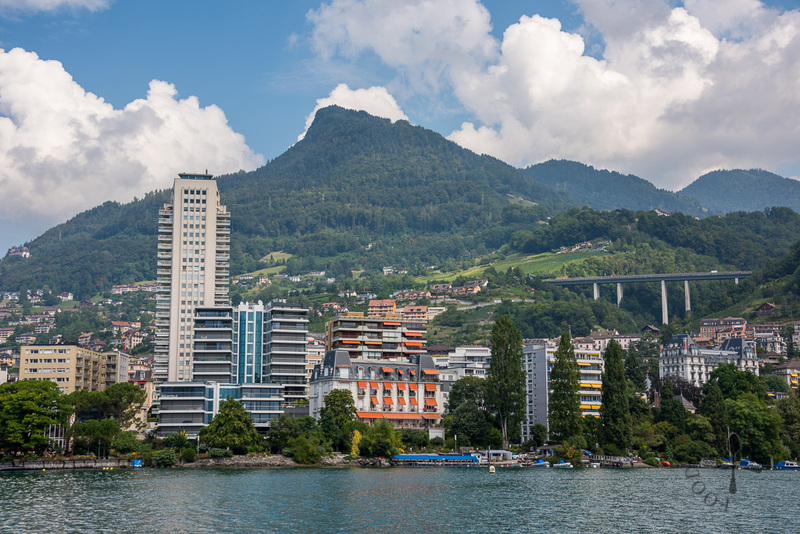 Montreux is a very small town with a population of only about 26,000. 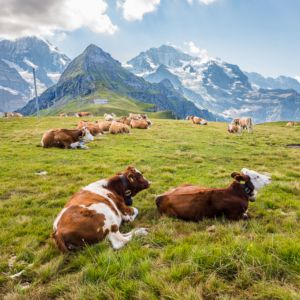 Located in the southern part of Switzerland, most Swiss speak French as the first language instead, with German being the second. We were spending only half a day in Montreux/Chillon Castle, so we deposited our luggage at the self-service lockers at the train station (only CHF 9 for 1 big locker.) The ferry terminal is located conveniently near the train station (5-minute walk away), and we caught the ferry after purchasing some sandwiches nearby. 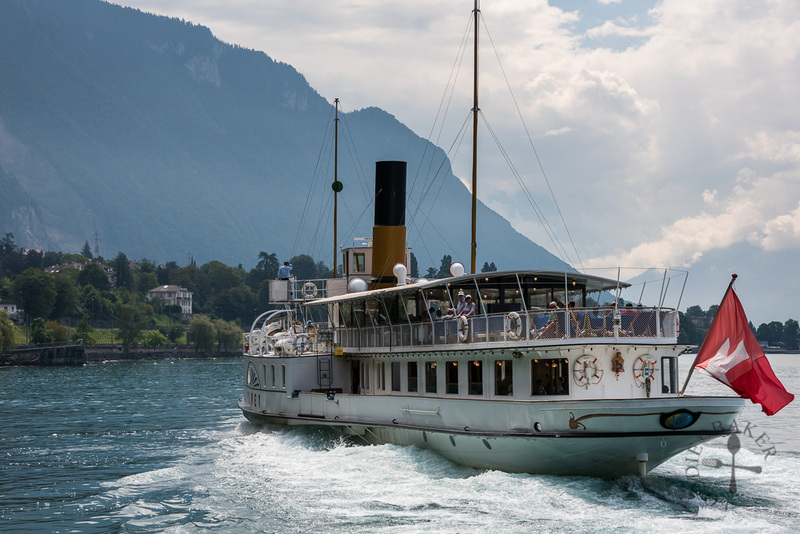 For 15 minutes, we cruised along Lake Geneva, taking in the views of Montreux and the stunning mountain backdrop. We also caught a glimpse of Chillon Castle as we approached the ferry terminal. 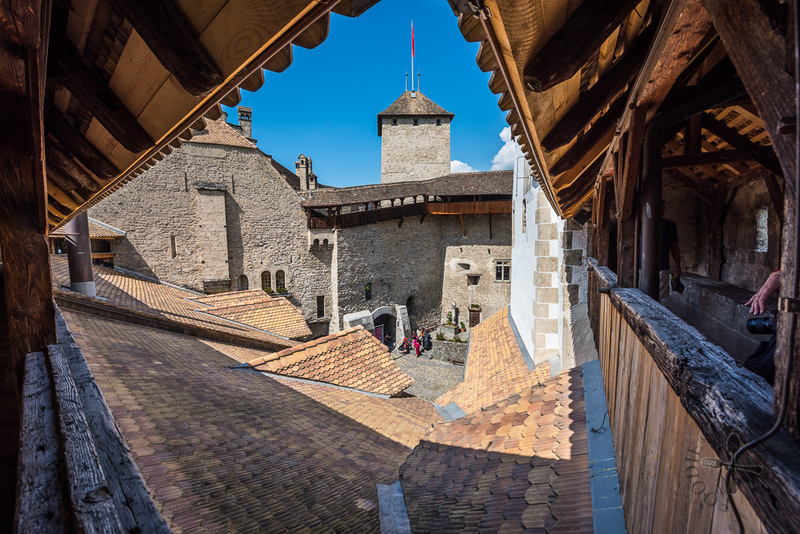 The Chillon Castle is the result of many centuries of building, adaptations, renovations and restorations. The excavations carried out from the end of the 19th century affirmed that this site has been occupied since the Bronze Age – 3200 – 600 BC – though the castle was built much later. 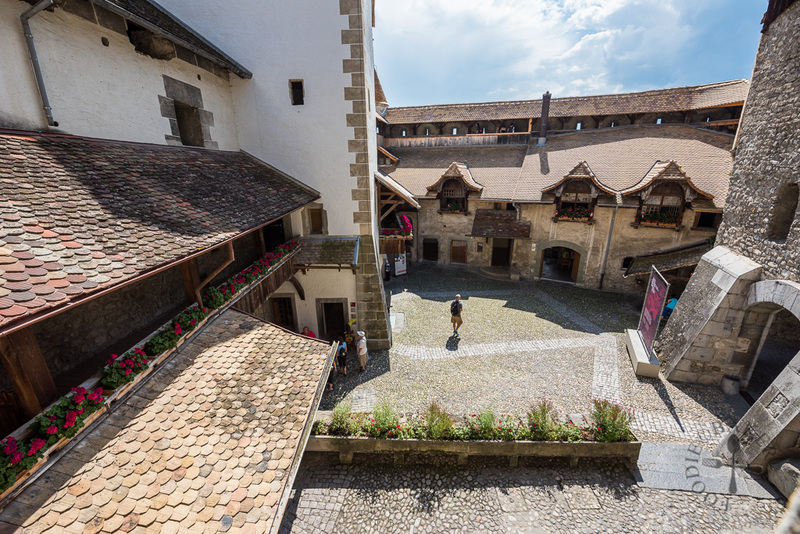 Chillon Castle has an uncommon and unique design as it follows the oval form of the island (most castles had square or rectangular plans), which is about 100-metre x 50-metre big. 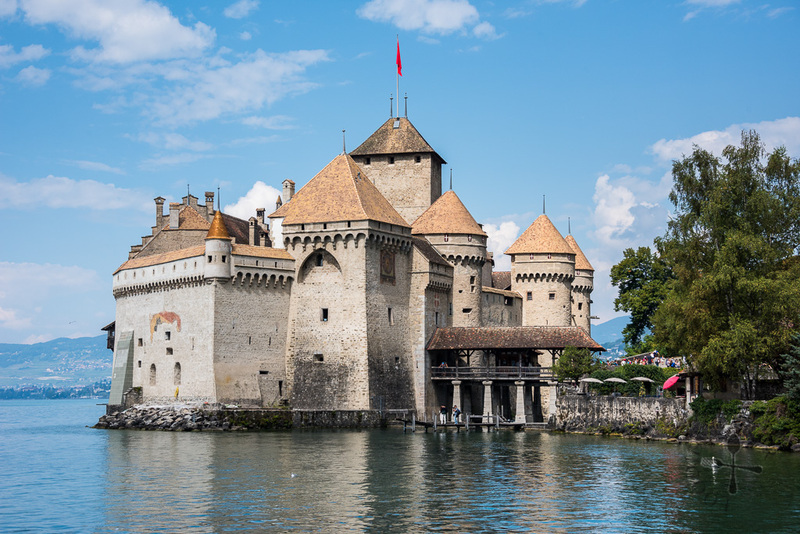 The castle was surrounded by a natural moat and protection – Lake Geneva. It was also strategically located alongside the old Via Italia, the main access trade route into Italy, hence it could charge tolls and control the import and export of goods. 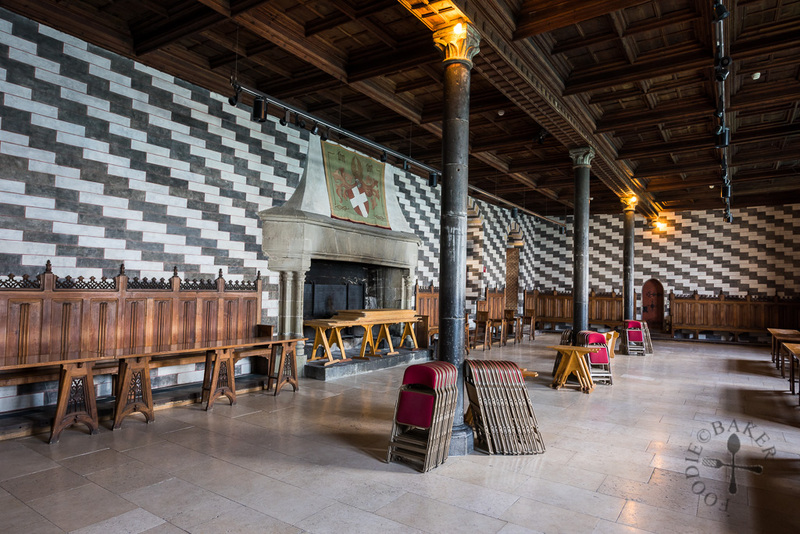 The very first record of the castle dates back to 1150 and since then, it has passed through the hands of three noble families – the Savoys, the Bernese and the Canton of Vaud. The Savoy period lasted from the 12th century to 1536 – the initial structure of the castle was built by the Savoys mainly in the the 12 and 13th centuries. 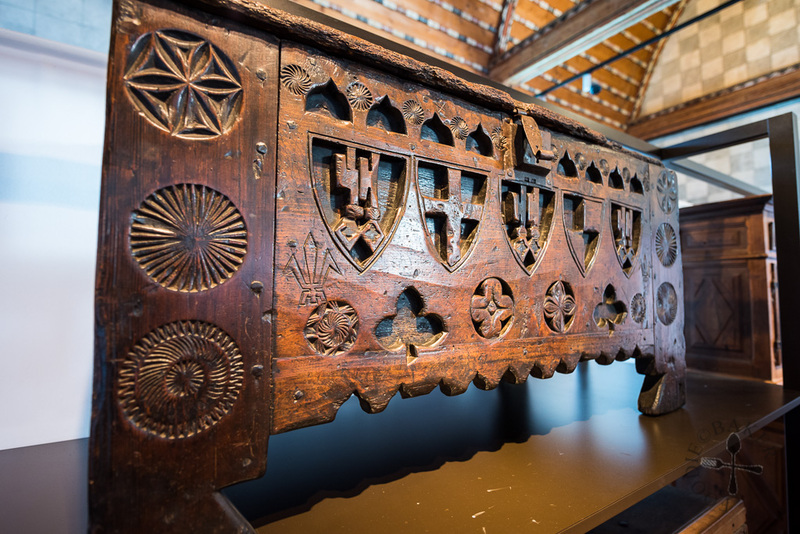 From the 14th century, as the power of the Savoy family began to loosen, the castle began to fall into disrepair and was used as a prison, where political rivals were unfairly imprisoned. 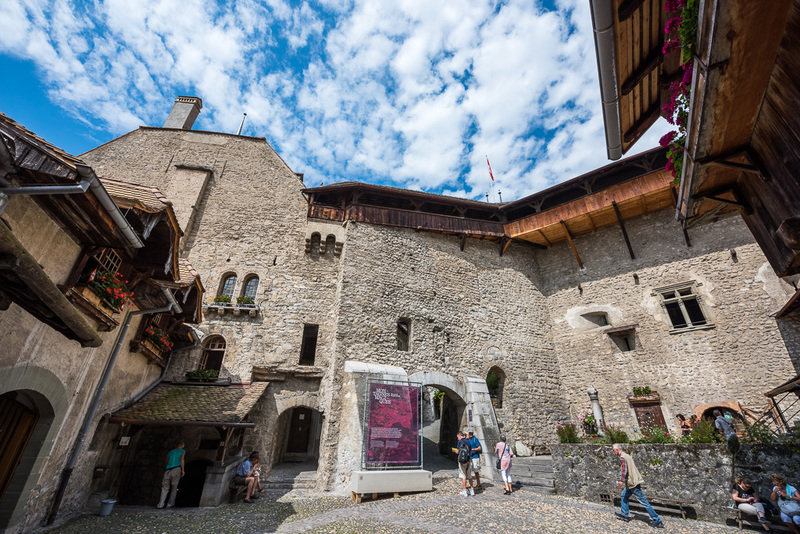 Eventually the Bernese conquered the country and stormed into the castle in 1536, entering the Bernese period which lasted for 260 years until 1798. During this period, the castle served as a fortress, arsenal and prison. 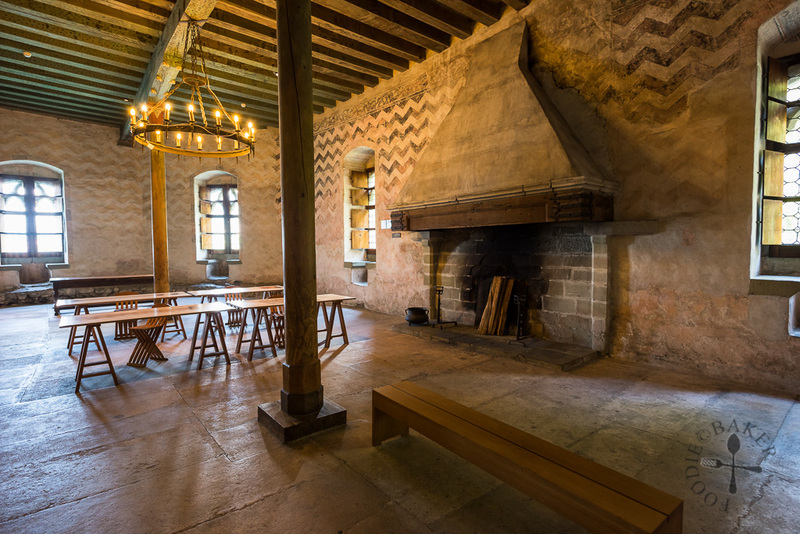 The Bernest fled Chillon Castle in 1798 during the Vaudois Revolution. In 1803, Canton of Vaud was founded and the castle naturally became the property of the canton. 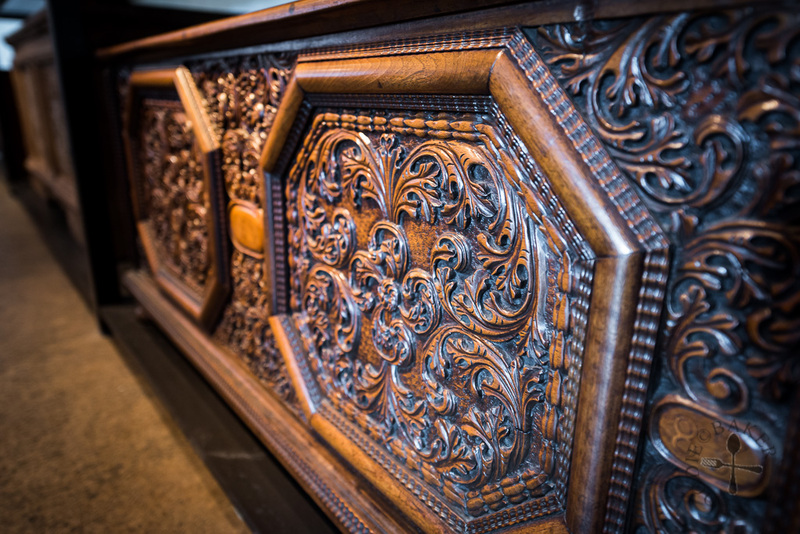 Restoration began at the end of the 19th century to maintain the medieval look of the castle we see today. View from the top tower – quite a steep climb but the view’s worth it! 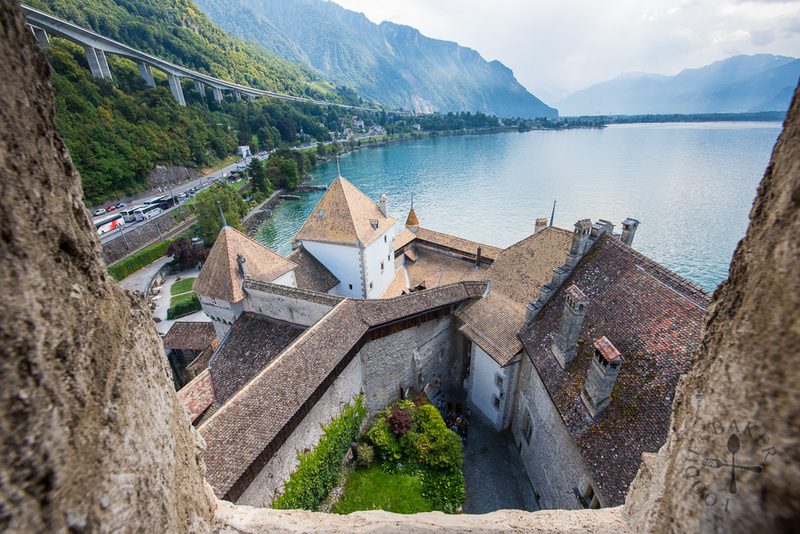 Chillon Castle is not a huge castle, so it’s easy to finish exploring within 2 hours. 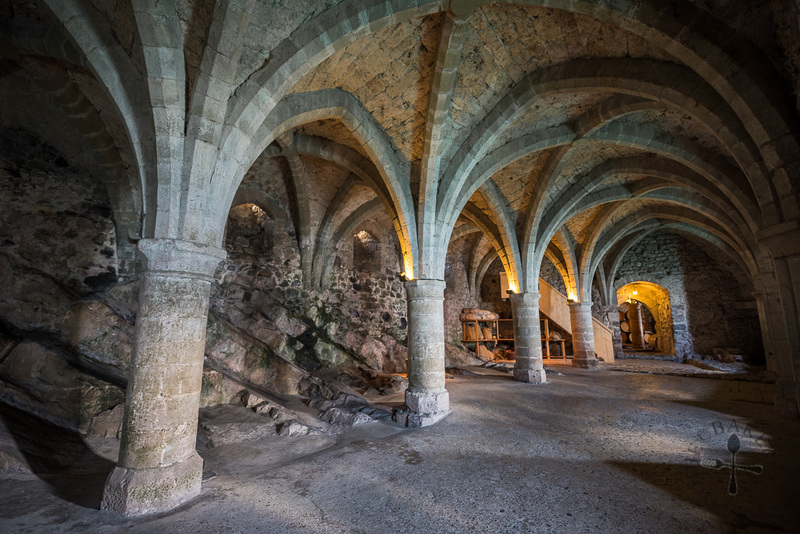 There is no restaurant within the castle, only a small snack bar and drinks machine. I remembered eating is not allowed in the castle except in certain areas, but there are benches just outside the castle and it’s a really nice place to enjoy a picnic along the shores of Lake Geneva. On our way back towards Montreux, we passed by the public beach right next to Chillon Castle. Kids were swimming / playing in the water while parents were preparing a barbecue feast – the barbecue smell was so irresistibly good! We contemplated walking back to Montreux but I got lazy so we caught a bus instead 😛 After collecting our luggage, we continued our journey towards Zermatt – which I’ve already blogged about them previously! And that’s it for today, till the next travelogue – which I’ll be posting soon I hope! Stay tuned!